Home > Resources > What Is Guardianship? Guardianship will give an individual the power to make decisions for a minor, and the responsibility to answer questions that will affect a child’s life forever. Guardianship is a legal arrangement that is commonly misunderstood. It can be complicated, and is regularly confused with other legal decisions like custody. Guardianship is when the court appoints a person or an agency to take responsibility for the care of a child. Guardianship is different than custody as it pertains more to decision making for a minor. If you are appointed guardian of a minor than you are responsible for all the important decisions that go into a child’s life. This is one of the reasons why guardianship is such a crucial responsibility that should never be taken lightly, and can greatly affect a child’s life. Decision-making that guardianship grants to an individual needs to be met with the utmost consideration, and is a responsibility that can affect a child’s life forever. Guardianship gives an individual the responsibility and right to make decisions such as medical care. This is an important element to contemplate in regards to guardianship because nothing is more important than the health of a child. A guardian will have every right to decide on different medical treatments and procedures. Such decisions will greatly affect the outcome of a child’s life, and need to be met with the importance they require. Along with medical decisions, education is an important aspect of decision-making that guardianship grants. A child’s education is a great gift that can propel them to achieving their dreams, and becoming an integral part of society. However, the opposite can be said if a child is not exposed to the correct educational experience. Guardianship will allow an individual to decide every phase of a child’s education, such as where they go to school, what programs and classes they may take, and what type of school they go to. Who Can File For Guardianship? An adult relative, family friend, child protective agency, or the child can petition to be appointed as the guardian if he/she is over 14 years old. Preferred guardians are the minor’s parents and other relatives. The focus on selecting a guardian revolves around the best interests of the child. Guardianship terminates when the minor reaches the age of majority, unless the minor still requires supervision after reaching the age of majority. It may be terminated if the minor marries and is automatically terminated at the death of the minor. Guardianship can terminate when the guardian does not actively perform his or her role as guardian. Guardianship in regards to minors is decided in family court. To properly understand guardianship, you must first understand custody, and how the two are different. Many people fail to recognize the differences of these two arrangements, and even file the wrong petitions due to their lack of understanding. The two arrangements are so commonly confused for one another; courts regularly get the wrong petition and have to convert it to the correct petition. In simple terms guardianship strictly refers to decision making. Custody is a completely different arrangement that has to do with both decision-making and physical residency. For example, if you have a nephew under the age of 18 whose parents pass away, and since then is living at a friend’s house, in a perfectly healthy and responsible household, the need for physical custody is unnecessary. However, your nephew still needs an adult to make decisions on his behalf. For instance, your nephew needs someone to sign his passport or initiate a lawsuit on his behalf, and since he is a minor he cannot do so on his own, then you would want guardianship, so to insure that your nephew has a reliable source to make decisions for him. But if you want your nephew to come live with you, then you need to file for custody. Because you are wanting to not only be responsible for imperative judgments such as medical decisions, but for the day-to-day decisions and caretaking of a minor. Having a clear understanding of the differences between guardianship and custody is crucial for assessing what arrangement is right in your particular situation. Do not waste the time of the courts, or your own time, by filing for the wrong petition, and slowing down the speed of the pending decision. It is helpful to think of guardianship in the same terms of power of attorney. You probably understand that power of attorney refers to critical decision-making in the lives of adults. Power of attorney can refer to finances, property, or making decisions for an adult who has becomes ill or unconscious. Guardianship is generally the same thing. The main difference is in regards to the decision making for a minor. Guardianship deals directly with the decision making for a child, while power of attorney typically refers to an adult. Let an attorney give you the security and proper understanding you need to face your legal matters with confidence. will guide you through legal jargon that may be confusing, and give you a clear, concise plan of action that will give you the confidence you need. The law is vast, and finding an attorney who concentrates and has experience in family law is recommended for any guardianship questions that you may have. 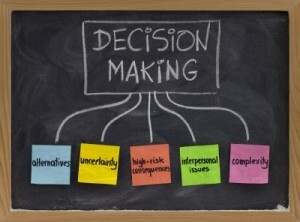 There are few things more important than the decisions that go into shaping a child’s life. If you have any questions or concerns, do not try to figure out the legal system on your own for this may tremendously jeopardize the outcome of your petition or case. 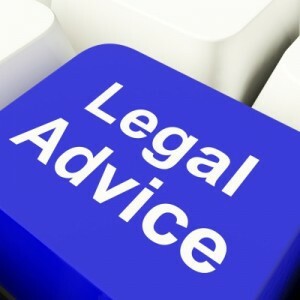 Instead take the counsel that a family law attorney offers. Let the family law attorney be the expert who will guide you through a complicated procedure with confidence and expertise.